Editor’s Note: Are you tired of seeing the same people profiled over and over in the local media? Yeah, us too. This is the first installment of a new column about important people behind the scenes in Savannah. 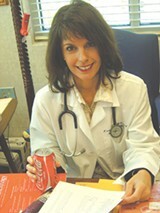 KAREN REED IS A nurse practitioner at the Center for Digestive and Liver Health on the Memorial Health campus. 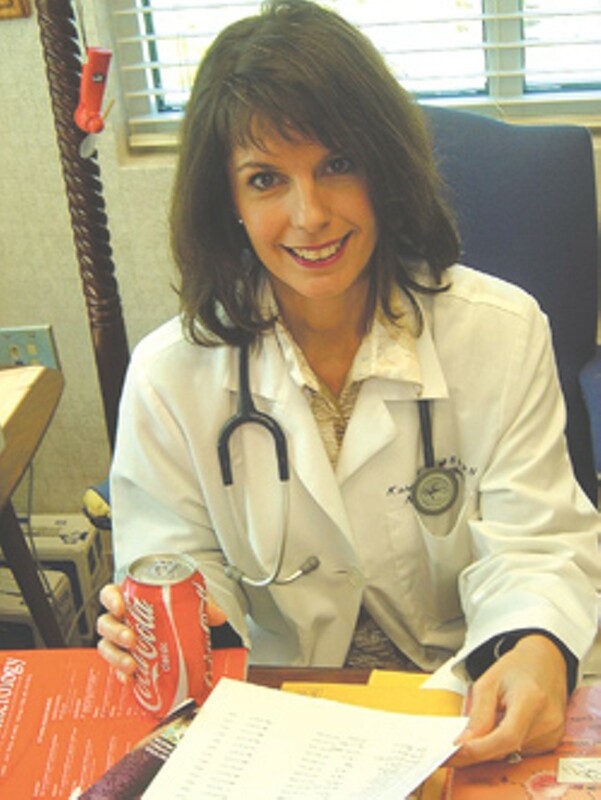 She has 20 years of experience as a nurse, with seven of those years as a nurse practitioner. So, you’re a nurse practitioner. Could you describe what your job entails? Karen Reed: Well, I see patients, diagnose conditions, order labs and x-rays, and sometimes I order procedures and medications. I spend a lot of time educating patients about disease processes and prevention. I also help train nurse practitioners for Georgia Southern University and Armstrong Atlantic State University as a clinical preceptor. I’m basically their nurse mentor. How are you different from a regular nurse? Karen Reed: I have a Masters of Science in Nursing. A regular nurse may be an LPN, a diploma RN, or an RN who has a Baccalaureate of Science in Nursing. This means that I have training beyond that of a regular nurse, which allows me to diagnose and treat conditions, order labs, x-rays, and procedures. Did you always want to be a nurse practitioner? Karen Reed: No. I started out pre-pharmacy when I was in college. I changed over to nursing - even though I loved chemistry - because I wanted to help people. I’ve been in nursing since 1987. Seven years ago, I decided I wanted more education and to be able to use my background in nursing to become a nurse practitioner so I could diagnose and treat people instead of bedside hospital nursing. I loved bedside hospital nursing however, because I got a lot of hands-on experience and loved helping people get over an illness. Why did you decide to go into this career? Karen Reed: When I chose to return to college for my graduate work, I could have expanded my nursing career by becoming a nurse practitioner, a clinical nurse specialist, or a nurse educator. I chose the nurse practitioner track because it was still hands-on nursing, but allowed me increase my knowledge and diagnose and treat patients, which a regular nurse cannot do. Karen Reed: The patient interaction. I also love to be able to find a problem and correct it before it becomes a larger problem. For example, I had one patient come in for a screening colonoscopy, and in the course of my examination, found a carotid bruit. I told her to see her regular physician, as a blockage in her carotid arteries could lead to a stroke. When she came back for her follow-up visit, she stated that an ultrasound was performed on her carotid arteries, and that some carotid stenosis was noted -- a narrowing of the carotid arteries. She was started on medication for the condition, which likely helped to prevent a stroke. It made me feel good to be able to help her. Karen Reed: Rectal exams. (laughs) But it is a necessary evil. Any advice for aspiring nurses? Karen Reed: Yes. Go into the job because you love helping people, and for no other reason. Do you have a lot of medical providers who come into the job for other reasons? Karen Reed: Yes. Healthcare does provide some sense of job security. Some people come into it thinking that it pays really well. It pays the bills, but with Medicare and insurance cutbacks, the salaries can be stagnant. You should go into it because you love helping people and love the sciences. Otherwise, you could become burned out. Also, patients can tell when you do not love your job, and you’re doing them no favor by staying in a profession that you dislike. You have to love what you do and enjoy it, because when a patient comes into a room to seek your care, you want to be able to give it to your fullest ability. They deserve that.